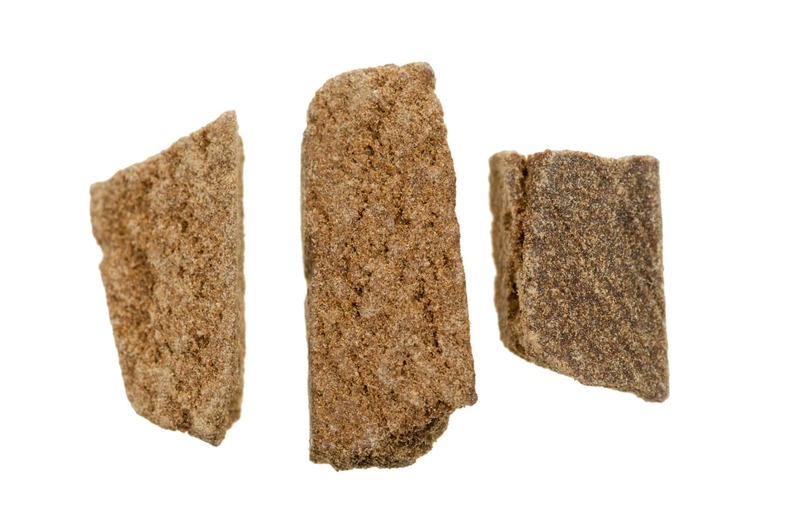 Hashish, or “hash” as it’s commonly known, has a history that goes back to the late 11th century in Persia and Arabia. Hash is essentially cannabis resin created from the sticky trichomes found on cannabis flowers. In the earliest accounts of its use, it was eaten rather than smoked. Much later, in the 17th century, hashish use spread to Europe with the introduction of tobacco from the new world. At that time, it was then mixed with tobacco from the New World and smoked, which greatly increased its popularity. The cultivation of hemp during the early history of the United States is well documented, and it’s well-known that George Washington grew the plant. What is less known is that cannabis also had widespread recreational use by early presidents. Founding father Thomas Jefferson and early president James Monroe both served as U.S. ambassadors to France, where they are known to have been regular smokers of hash, which was very popular there at the time. Madison, in particular, was an ardent hash smoker and continued to use hash until his death at age 73. By the 19th century, hashish had widespread medical use in Europe as well as the U.S., where it had applications to treat pain, migraines, depression, stomachache, loss of appetite, and other conditions. During the 20th century, medical use of hash ceased in favor of other drugs that were more widely accepted for these applications. At the beginning of the 20th century, most of the hash used in Europe came from Kashmir, Afghanistan, Greece, Syria, Nepal, Turkey, Lebanon, and India. By the 1960s, most hash was imported from Afghanistan, Pakistan, and Morocco. During that decade, Morocco emerged as the leading exporter of hash and was the source for huge international exportation and use. During the 1990s and 2000s, Afghanistan became the main source for hash exports, producing product that was superior to that from Morocco. Because of increases in high-quality marijuana production in the U.S., most hash from Afghanistan is imported to Europe. In 2013, 641 tons of hash were consumed in Europe, and Europeans remain the main consumers of hash today. Middle Eastern hash has historically been made with Cannabis indica plants grown in the aforementioned countries. Throughout the nearly one thousand years of its recorded use, hash has been created in a variety of ways. The most primitive and unrefined method to create hash results in a form sometimes referred to as “finger hash.” This form of hash results from rubbing human hands on the flowers of cannabis plants to remove the sticky, THC-rich trichomes on them. The hands are then rubbed together to roll and remove the sticky residue on them to collect a very pure form of resin. Rolled into balls, finger hash is still created today, and should be something most cannabis growers and trimmers know well. The resin from cannabis buds collects quickly on hands and trimming scissors. It makes a flavorful bowl topper on dried flower or when consumed in pure form on its own. Mechanical means also have a long history of use in the creation of hashish in Afghanistan. When using historical mechanical means, “dry sieve” cannabis creation occurs by removing the trichomes from dried flowers by pushing them through a screen by hand or through the use of tumblers. The powder that results from this process, known as “kief”—and still called that today in the modern American cannabis market—is then compressed with heat to form blocks of hash in a similar method used to create modern rosin from cannabis flowers. The Moroccan and Lebanese method of hash creation was and is similar to that of Afghanistan but lacks the application of heat in the process. The compressed product from Afghanistan is moistened with water and heated, then rolled by hand to create balls of hash. 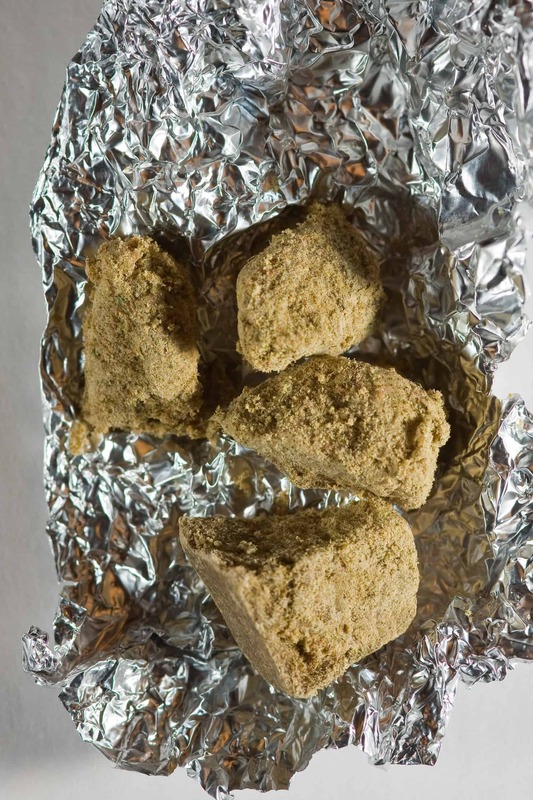 This ancient method of hash creation is a tedious, time-consuming process that results in a very pure form of hashish. Hash in today’s American market employs a dramatically different method of creation. Instead of employing heat and compression, freezing water is critical to the creation of what is known as “bubble hash.” Creating bubble hash involves a process where a series of collection bags with varying levels of minute filtration are arranged, one within another, with the filtration bag having the largest-micron filter being the first bag and the smallest, most-minute filter the last. Either dried flower or freshly harvested flower will work to make bubble hash. When using fresh flower, the resulting hash is sometimes referred to as “live hash.” Some people believe that the live hash terpene experience—the aroma and flavor of the hash—is superior to that of hash created with dried flower. To make this hash, a bucket or large vessel containing the series of collection bags fits snuggly like a trash bag within a trash can filled with ice water. Then, the flower—either dried or fresh—is put in the ice water (some people choose to freeze the flower prior to placing it in the ice water). Once allowed to sit for an hour or so, the water is agitated with a heavy spoon or paddle (some people use an electric cake mixer, using extreme caution not to let it get it fully emerged in water, for obvious reasons). The water is mixed and agitated fully before being allowed to settle once again. This process allows the trichomes on the flowers to become nearly frozen, which causes them to fall off the flower and collect at the bottom of the bag. When removing the first couple of bags, the plant material is strained out. The remaining bags include trichomes and residue that is collected and dried, resulting in hash of varying purity depending on which bag it came from. Bubble hash remains one of the easiest and safest modern concentrates to make. The resulting hash can either be smoked by itself or combined with flower when smoked. It adds a potent kick to dried cannabis when smoked together. Although well-known to most American cannabis consumers, hash has a less storied history in the U.S. than in other countries with widespread cannabis use. With the increasing legalization of marijuana in the U.S., however, use of cannabis concentrates, including hash, is becoming more prevalent, so the general public will no doubt become increasingly aware of hash and related concentrates like shatter, wax, rosin, and crumble. The aforementioned bubble hash is particularly appealing to some people because it lacks any trace solvents, and it’s aptly labeled a “solvent-less” concentrate. 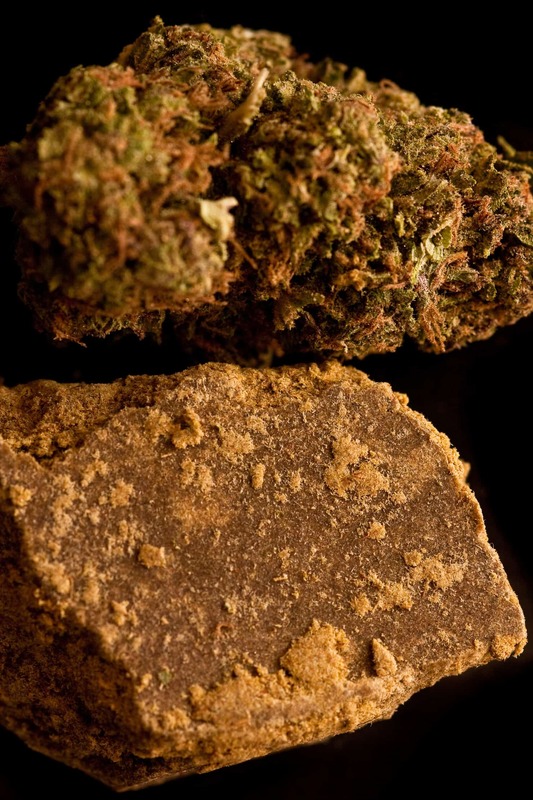 Undoubtedly, hash use will continue to grow in popularity in the U.S., as it has in other countries around the world. Its rich history throughout the centuries shows no signs of letting up now.